We understand the frustrations of Small Businesses when it comes to obtaining effective business IT support – we are a small business ourselves. We’re a dynamic and flexible small business and we understand the way they think. So we know how to deliver effective Small Business IT support and services designed for you. We’re genuinely committed to helping our small business clients get the most effective IT support, services and solutions for the challenges they face every day. We want to deliver an IT Support Service that will give your Small Business the Infrastructure it needs to reach it’s potential. Contact Us or read more to find out how our IT support services will integrate seamlessly into any small business. 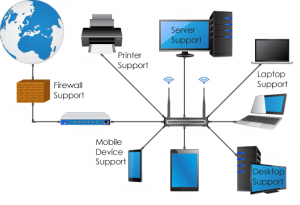 Tech CPR offer several services specially designed to meet the IT network support requirements of Small Businesses. Managed network and server support – we’ll perform reboots and apply updates outside of work hours, monitor critical processes, pre-empt potential problems before they affect your IT, and make sure your business avoids costly IT outages. PC build – we’ll preconfigure your PCs with your chosen software. Order your PC and it’s ready to go as soon as it arrives. Staff cover – we’ll cover those days when your IT person, whether they’re a member of staff or just a friend who helps out your SME, is on holiday or leave, and we’ll provide them with the assistance they need whenever they need it. 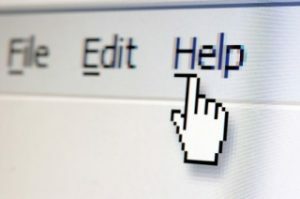 First-line support – we’ll offer the advice your staff need to resolve their everyday IT problems. IT Audit – we’ll check your current IT infrastructure to ensure it’s configured to work as efficiently as possible. We’ll check you’re getting the best out of your Mobile Phone tariff so you can avoid extra costs on your remote access. We’ll provide remote working solutions so your staff can work with flexibility. We’ll organise office moves and refurbishments to ensure the smooth running of your IT continues uninterrupted. We believe in building solid, long-lasting relationships with our customers – relationships built on dependability, professionalism and trust. Every job is easier, quicker and more efficient when you enjoy working together. That’s why we make sure all our staff are likable, friendly professionals. And of course, when you like working with someone, you want to carry on working with them, so working with us works out best for everyone. Why Tech CPR For Small Business? Thanks to our feedback system, when you’ve got something you need to tell us, we’ll hear it, and we’ll act on it. That’s one of the many things our customers tell us they love about working and the IT support we offer our small businesses. We know our way around IT, and we also know the business world. We specialise in optimising IT to help businesses on their way to greater success. Your IT is there to make your staff’s lives easier, and so are we. To us, business IT Support isn’t just about supporting your technology, it’s also about helping your staff use it as effectively as possible, enabling your business to work more efficiently.